If the mention of DIY turns you on in an artistic way, then a visit to The Hab store at Linking Road is a must. A store that you’ve surely noticed if you’ve ever travelled on Linking Road, Khar – Hab By USHA may sound like we’re going commercial but hear us out. It’s the concept that got our attention – it’s a store that aims to bring back the good old art and craft concept through workshops. Here, you’ll find all sorts of people getting together to create something out of their creativity. Hab expands to haberdashery and according to their website, ‘A haberdashery is a one-stop-shop for all sewing needs, a concept fairly well known internationally. It is a one point destination for people with a creative streak who prefer adding a personal touch to their outfits or accessories’. 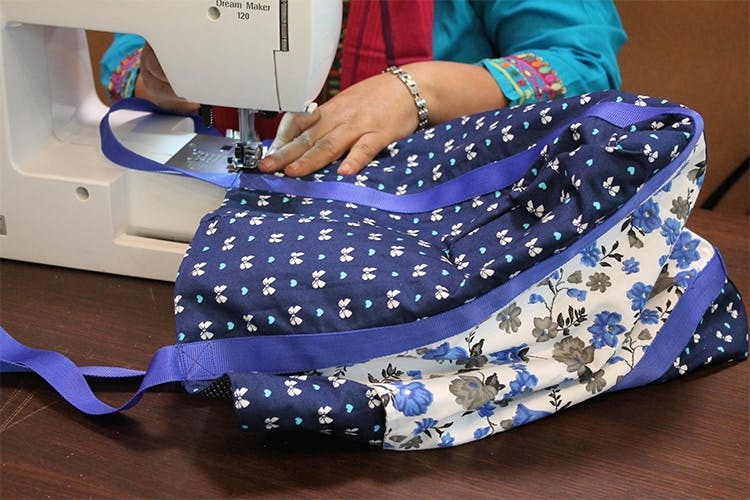 Their workshops start at INR 1,050 and they’ll teach you everything – from making a laptop cover to a handbag. You can also learn how to stitch your own tops, cushions and a crochet clutch. In case you do not like pulling yourself out of bed for a workshop, give their DIY kits a try. If you’ve got the drive to learn a new skill this year, you can start by visiting The Hab.